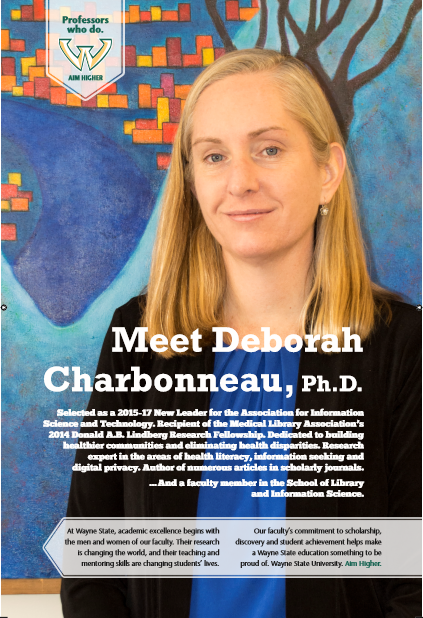 SLIS Professor, Dr. Deborah Charbonneau, has been featured in the "Professors Who Do" poster series created by Wayne State University. The series pairs physical and digital posters with the faculty profiles of Wayne State faculty who bring real-world experience to in-classroom learning. Read more about Dr. Charbonneau and other "Professors Who Do" on the Wayne State website.